Admittedly, it’ll be quite some time before the International Space Station is serving up its own homegrown salad bar, but this week, astronauts aboard the ISS are set to grub down on their second and latest round of space grown vegetables – a tasty variety of Chinese cabbage known as Tokyo Bekana. Armed with this new fast growing, delicious tasting (at least by NASA taster standards) vegetable, astronauts began their first foray into zero-gravity cabbage growing. 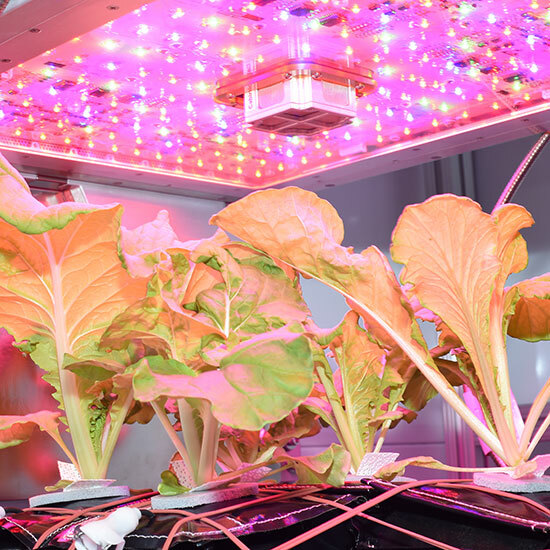 Though things were said to go “generally” well, growing produce in space still isn’t easy. The Tokyo Bekana not only grew “a bit more slowly” than predicted, it also faced a bit of yellowing due to the station’s high CO2 levels. Still, this Friday, astronauts plan on harvesting and eating their cabbage – a big step forward towards putting future space travelers on a healthy diet. Or actually, they’ll get to eat half their cabbage. The rest of the crop has to be used for experiments. The government always gets their cut.